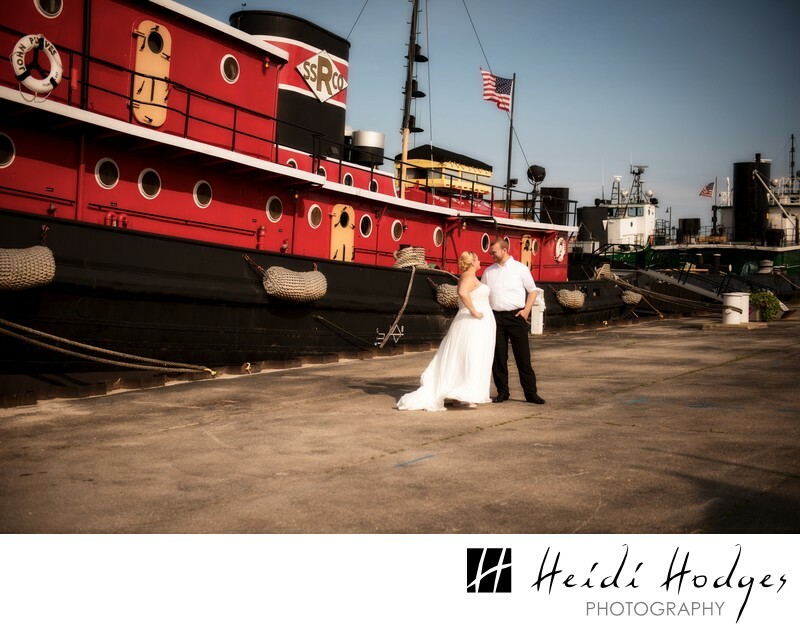 Bride agroom take a stroll along the working waterfront in Sturgeon Bay, stopping to pose in front of tug boats tied to the dock. Location: Door County Maritime Museum, Sturgeon Bay, Door County, Wisconsin. 1/5000; f/3.2; ISO 320; 48.0 mm.